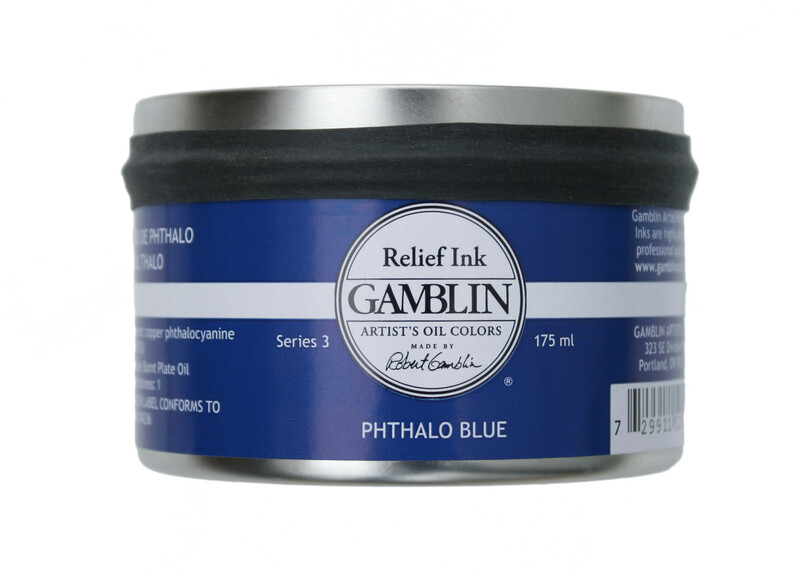 Gamblin Relief Inks are formulated for all relief techniques, including woodblock, linocut, monotype, and Solarplate. They contain the right amount of stiffness and tack to hold fine detail yet spread evenly on the block or plate. The palette of ten colors is designed to give artists intense pure pigmented colors straight from the jar, along with a wide range of color mixing capabilities. Gamblin Relief Inks are all bound in the highest quality Burnt Plate Oil.